Most of the Dutch component of the F-35 Joint Operational Test Team, along with their two planes, will head to the Netherlands for a three-week deployment where they will conduct testing and also introduce the fifth-generation fighter to the Dutch people at an air show. In about a week, most of the Dutch component of the F-35 Joint Operational Test Team will head home where they will conduct test sorties and introduce their fifth-generation fighter to the people of the Netherlands, which falls in line with a promise made by Netherlands Defense Minister Jeanine Hennis-Plasschaert to bring the jets home for an up-close and personal viewing for the public. The two Dutch F-35As will takeoff from Edwards and land at Naval Air Station Patuxent River, Md. After fueling up and running some checks, the duo will head out on their roughly seven-hour transatlantic flight followed by two RNLAF KDC-10 aerial refuelers and a NATO C-17 carrying gear and spare parts. The planes will land at Leeuwarden Air Base in the Netherlands, which is one of two bases that will be home to the RNLAF’s F-35s when they arrive permanently in 2019. The RNLAF plans to replace its legacy F-16A/B fleet with a minimum of 37 F-35s, split between two bases. The three-week mission not only fulfills the Netherlands defense minister’s promise, it also provides an excellent test opportunity. While at Leeuwarden AB, the detachment will conduct test operations and expect to learn a lot. “I’m sure we are going to have to deal with challenges. We’ve turned it into a three-week deployment where we will conduct regular sorties just like we do here; just turn sorties so we can see if the maintenance and logistics pieces all work and if [information technology] can support us throughout the whole thing. I’m sure it’s going to generate a ton of lessons learned and things to take away from,” de Smit said. Towards the end of the deployment, Leeuwarden AB will hold a public air show complete with the new F-35s. A Royal Netherlands Air Force F-35A Lightning II touches down at Edwards AFB for the first time Jan. 16, 2015. The Dutch F-35 Operational Test Detachment has been conducting OT since and will head to the Netherlands for a three-week deployment. Leading up to this deployment has been no small task according to de Smit. Along with the intense planning and coordination, KDC-10 certification flights were conducted earlier this year to ensure the Dutch F-35s were cleared to mid-air refuel. Additionally, de Smit said an information technology link had to be established so they can communicate back with the test force at Edwards AFB. It was a challenge because the Netherlands IT infrastructure differs from that of the U.S.
“We needed to have an IT connection with Edwards, and to put that architecture up has been an interesting endeavor,” he said. 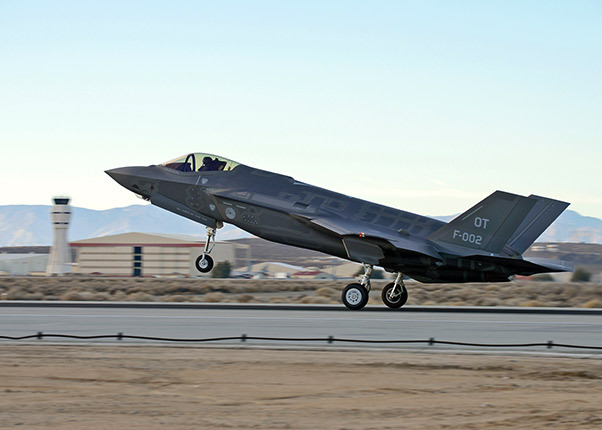 The Dutch OT detachment will send test data back to Edwards and process maintenance items through the F-35 program’s maintenance framework called ALIS (Autonomic Logistics Information System). The RNLAF colonel says after all the coordination, certifications and “creative thinking and modeling,” they’re finally ready to take their planes home. “I think we’re looking pretty good. Now it’s really the packing up, making sure everything gets on the airplanes. 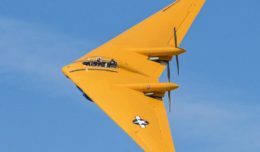 And obviously we have to have two good airplanes to take with us so our maintenance guys have been working really hard to make sure the planes are good to go,” said de Smit. 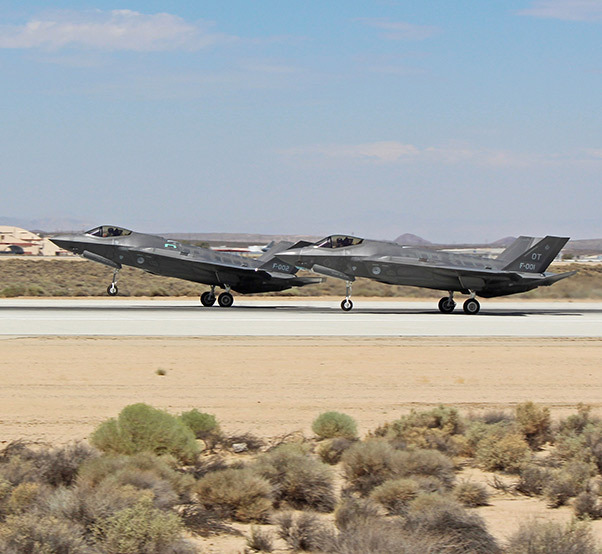 The Dutch F-35 OT Detachment at Edwards is part of a collective test operation with the U.S. Air Force, Navy and Marines, United Kingdom and Australia. The lessons learned will be shared across the board from the deployment.